We make cuts that print. 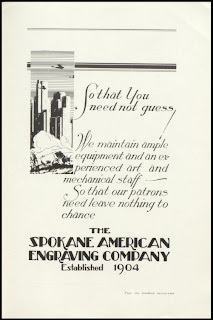 Designers, engravers. Phone, Main 104. 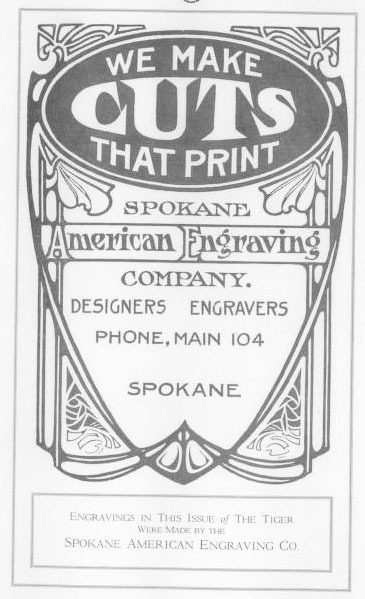 Engravings in this issue of The Tiger were made by the Spokane American Engraving Co.
Commercial designs and printing plates. We make cuts that print. Phone Main 4553. 19 Monroe St. Spokane. 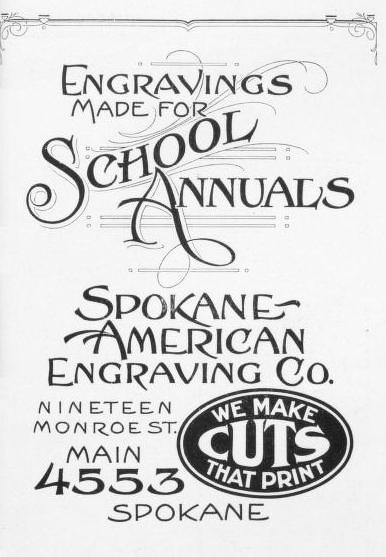 Engravings made for School Annuals. Nineteen Monroe Street Main 4553 Spokane. 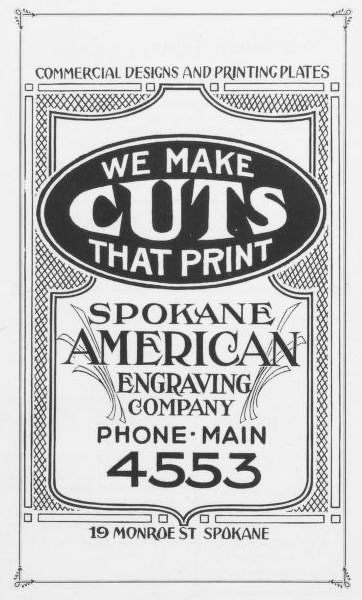 We make cuts that print. So that you need not guess! We maintain ample equipment and an experienced art and mechanical staff - so that our patrons need leave nothing to chance. 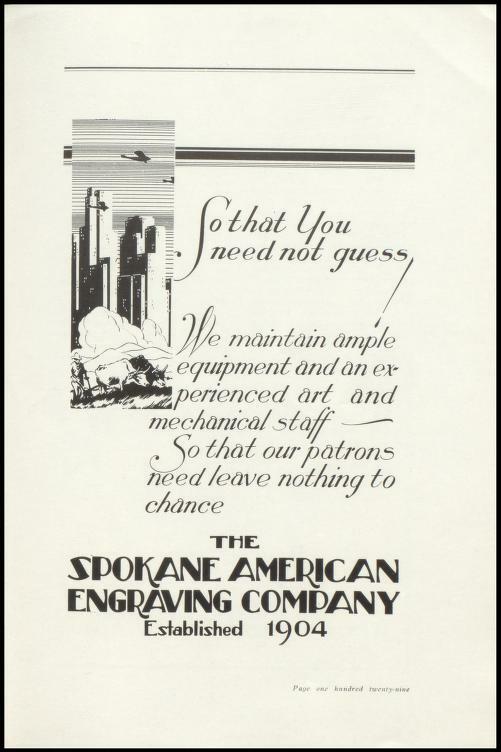 Established 1904.